Have you made your Spirit of Sunrise donation for the 18/19 year? If not, please consider making your tax deductible contribution today! The Spirit of Sunrise campaign has raised $11,000 but we have not yet met our goal of $20,000. The FFO budget needs your help in order to continue funding student field trips, Science Day, Artists-in-Residence, Community Garden, 5th Grade Legacy Project, Lego robotics kits, Raz Kids, Reflex Math, playground equipment, Spiders and Cider, and much more. The Sunrise Drive FFO is a 501(c)(3) non-profit organization and much of the FFO budget comes from families’ direct donations. Make a donation through our online store via MySchoolAnywhere … or drop a check payable to “Sunrise Drive FFO” in the FFO lock box in the Sunrise Office. The suggested amount is fifty dollars ($50) per student; however, any amount is appreciated and all donations are tax deductible. Donations of $250 or more will receive a letter for tax reporting. You can make a donation via our online MySchoolAnywhere (MSA) store. If you don’t have an MSA account, you can also donate directly via PayPal. Thank you for your generosity! Please contact us with any questions. Every Arizona taxpayer has the opportunity to give two hundred dollars ($200) to CFSD instead of paying it in taxes. This is not just a deduction; it is a dollar-for-dollar tax credit so the amount reduces what you owe in state taxes. For details see the Tax Credits page. Mathathon is a huge fund-raising and education event where students have raised over $20,000 dollars. 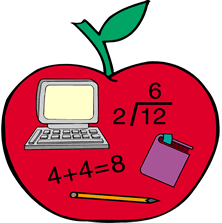 Check out the dedicated Mathathon page for more information! Start your Amazon shopping from this link: sunriseffo.org/amazon to help SunriseFFO earn 4%-10% from your purchases (better rates than Amazon Smile)! Share the link with family and friends and their purchases will help Sunrise too. Dine outs are great opportunities to meet other Sunrise families while having dinner (or lunch). A portion of the proceeds from the restaurant is donated to benefit Sunrise. All the events will be listed on the calendar and announced in the monthly FFO Email Digest. 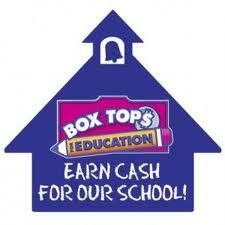 Collect “Box Tops for Education” coupons found on many popular products. Just clip and turn them into your classroom teacher. Every Box Top is worth at least $.10, and that money adds up quickly. Check out the Box Top Product List and sign-up at http://boxtops4education.com if you want to track your contributions! Office Depot / Office Max! Simply make a purchase of qualifying school supplies and provide your school ID at checkout and your designated school will receive 5% back in credits for FREE supplies! Learn more at Give Back to Schools on the Office Depot / Max site. This is a separate, non-profit organization that is not part of the Sunrise FFO, but they contribute hugely to the education across the district and to Sunrise Drive teachers too. The Catalina Foothills School District Foundation raises funds to support teaching positions and district-wide academic programs. Learn more at the Catalina Foothills School District (CFSD) Foundation site.